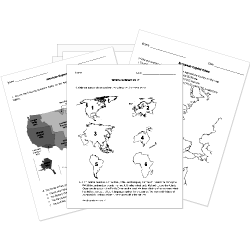 You can create printable tests and worksheets from these Grade 6 Alabama questions! Select one or more questions using the checkboxes above each question. Then click the add selected questions to a test button before moving to another page. What state borders Alabama to the west? Alabama is in the southeast part of the USA. Which state borders Alabama to the north? What state borders Alabama to the east? What are the colors of Alabama's flag? Mobile is the largest city in Alabama. Alabama's tree is the Magnolia tree.